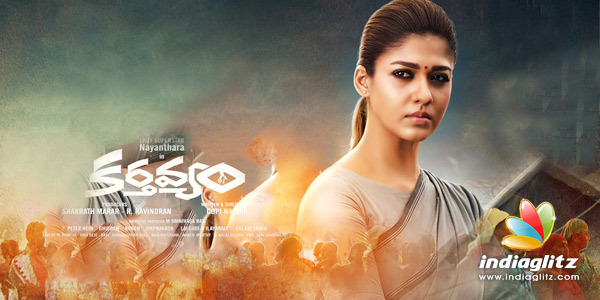 'Karthavyam', starring Nayanthara, will hit the screens on March 16. Here is our review of the thrilling drama. Madhu (Nayanthara) is a District Collector under whose jurisdiction is a dry village named Velnadu. Rams and Sunu Lakshmi are two daily wage-earners in this water-scarce village. Their son (Vignesh of 'Kaaka Muttai' fame) is passionate about swimming and their daughter Dhansika is barely five. As fate would have it, Dhansika falls into an uncovered borewell. All hell breaks loose for her poor parents, who wail out of their hearts even as the administration struggles to marshal its resources to save the child. This is when the duty-minded and ever-so-alert Madhu goes out of her way to stir the entire administration into getting its act together in saving Dhansika from certain death. In her attempts, Madhu not only has to take risky and spontaneous decisions but also has to face a series of stumbling blocks in the form of inhuman musclemen, political pressure, bureaucratic sloth, and the bane of Nature all while calming down the restive villagers. Writer-director Gopi Nainar tells a remarkably moving, deeply emotionally appealing story for sure. 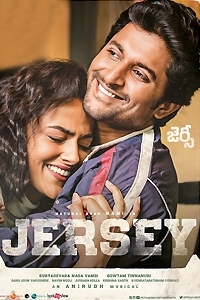 Though the core screenplay is about rescuing a child, the director also uses it as a tool to shed light on many issues like how the remote villages are neglected, the looming threat of drinking water drying up permanently and the need to bring in a law to criminalize negligence that claims many lives. In the process, he makes it a story of the fight of the downtrodden and the marginalized for dignity through a woman administrator they trust only so much. How much the village is water-scarce is shown without so many dialogues or cliched drama. The film forcefully draws parallels between ISRO's achievements and the poverty of a village, the unpreparedness of the administration, the failure of the governments in making technology people-centric. Nowhere does the film ask stupid questions about the alleged uselessness of this or that project. Also, nowhere is the director overwhelmed by Nayanthara's stardom. So, he uses the first act to thoroughly establish the thinking of Dhansika's parents, their humble lives, the father's broken dreams, his son's knack for swimming, etc. In most of the films, the Collector is shown as omniscient. 'Karthavyam' doesn't do it even though the role is played by a heroine like Nayan. Here, Nayan hardly has a know-it-all demeanor. It's rather her leadership skills, her ability to control a mob, her empathy, her capability to take timely decisions that come in for a superb portrayal. At every step, the wretched lives of the villagers is subtly and effectively told in brief moments/dialogues. When the film has to proceed into the climax, it's a moving melody that comes into play. 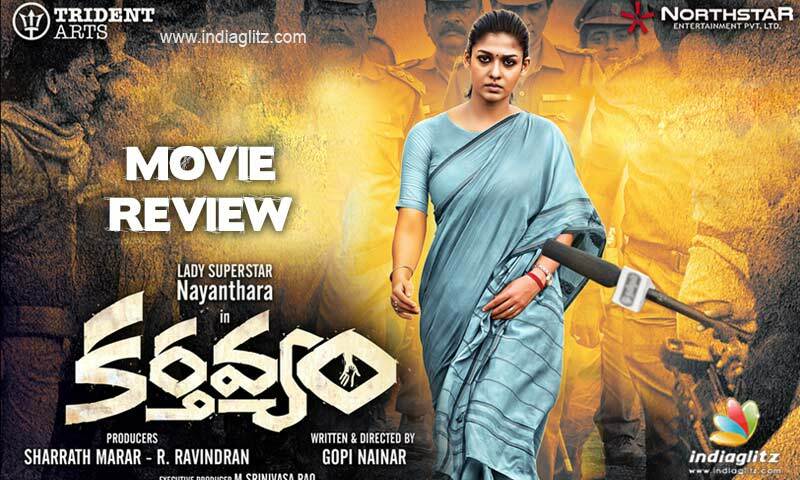 Nayanthara's majestic appearance and gait bring thundering applause from the crowd and her hard-hitting dialogues against a callous and elitist establishment are worthy of any mass hero which she pulls off with elan. Rams who has played negative roles in a few Tamil movies is very effective as the emotional father of the child who maintains a tough exterior but carries love for his family on the inside. 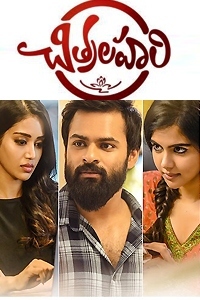 Sunu Lakshmi effectively conveys the helplessness of a mother from the lower class who knows the talents of her son but could not do anything to help him achieve it. After the child falls into the hole, she is very natural in her highly emotional breakdowns and reactions. 'Kaaka Muttai' Vignesh as the elder son whose passion is swimming has a key role in the film while Muthuraman as the fire officer, Rama Velappan as the MLA, Kitty as the senior bureaucrat and the rest of the actors are perfectly cast. 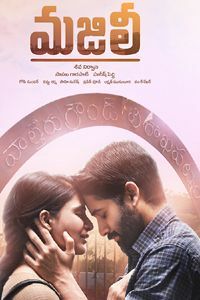 Ghibran's background score is one of the backbones of the film, while Om Prakash makes one feel like he/she is also in a parched land. Ruben’s cuts are perfectly in rhythm with the beats of the screenplay and enhance the realistic feel most of the time. 'Karthavyam' feels like watching a nail-biting thriller till the end. If films like 'Ghazi' are about operations to defend Bharat, 'Karthavyam' is an operation to save Bharat Mata (the girl child who is a victim of everything wrong with the administration/government/polity). Director Gopi Nainar has shown nothing short of brilliance in executing his screenplay in an engaging manner while delivering his many messages clearly to the audiences. Watch this heartfelt movie!